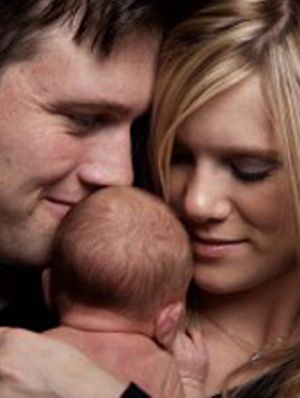 At Fertility Solutions Sunshine Coast and Bundaberg, we take a holistic approach to individuals and couples care. This includes considering not just the physical side of the person, but also the emotional and spiritual sides. We embrace traditional medicine as a complement to western medical approaches to pre-conceptual care and fertility treatment. There is a strong body of evidence which supports the use of complementary therapies in conjunction with fertility treatments to induce relaxation and reduce emotional and physical stresses. The team at Fertility Solutions has researched local complementary therapists who have a special interest in fertility and want to work with us to help you optimize your health, your response to treatment, your chances of a successful pregnancy, and the health of your baby. In the following newsletters and blogs, you will find information about a whole range of opportunities that are aimed at assisting you reach your goal(s) when it comes to health care. In later blog posts, we will offer an introduction to the various therapies and practitioners who are working with Fertility Solutions to help you achieve your dream of having a baby. Today we will be looking at ways to quit smoking. There has never been a better time to quit smoking. What better motivation could you have than to be able to make a difference with you and your babies’ health? There is no doubt that smoking is bad for you, OK! Planning for a baby is the perfect excuse for you to finally kick the habit. Why? 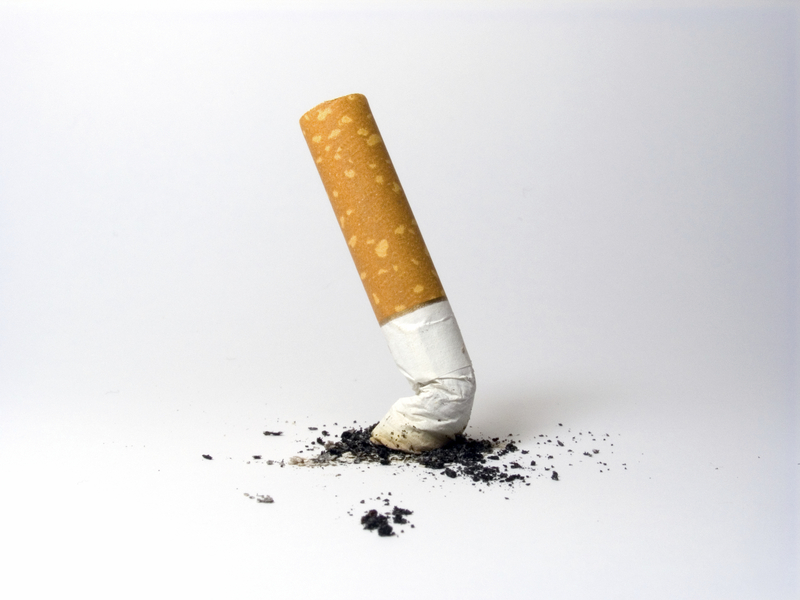 Smoking reduces the chances that you will get pregnant with or without treatment. It increases the chances that you will miscarry, or experience serious pregnancy complications such as placenta praevia (where the placenta lies over the cervix), bleeding, cerebral palsy and still birth – not to mention increasing the chance that you won’t be around to see your child reach adulthood. There is no “safe level” of smoking. If you are serious about becoming pregnant, it is best to quit smoking altogether. Even passive smoking is a risk. This goes for the men just as much as the women. Don’t delay; do it now. There are many products on the market that are designed to help you reduce and overcome smoking at your own pace. 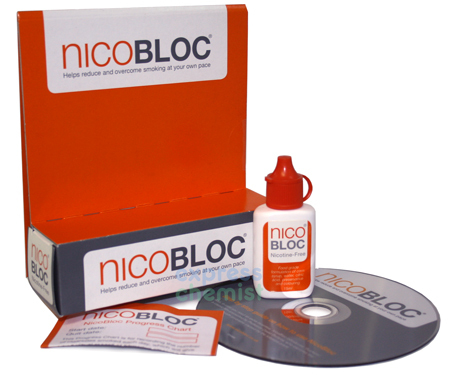 One that is of great interest and what’s more it does not contain Nicotine is a product called NicoBloc. 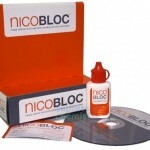 NicoBloc is the result of more than 10 years’ research and development. NicoBloc uses a fluid that is made from 100% approved food-grade ingredients and does not contain nicotine or any other drug. One drop of NicoBloc fluid will bloke the intake of up to 33% of tar and nicotine without significantly changing the taste or smoking experience. 3 drops blocks up to 99%. There are approximately 700 drops per bottle and this should last a typical “20 cigarettes a day” smoker about 2 weeks. GIVE IT A GO – YOU AND YOUR BABY’S FUTURE RELIES ON YOU STOPPING SMOKING. THERE WILL NEVER BE A BETTER TIME! If you want to give yourself the best chance to become pregnant, quitting smoking is one of the first things you should do.